Let me just start by saying that Generation Zero isn’t a terrible game. 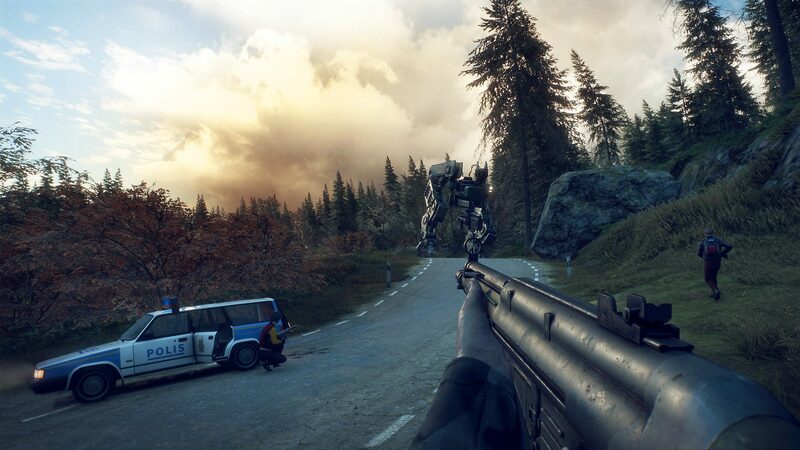 It’s a perfectly fine looter shooter that plays quite smoothly and looks absolutely stunning. It also boasts an interesting, even refreshing premise in post-apocalyptic Sweden, complimented by a suitably tinny, head-bopping score. But it becomes unashamedly dull far too early on and, sadly, feels devoid of anything meaningful to add to the genre, or say to the player. Basically, you play an 80s Swedish punk in an alternate timeline, forced to fight lots of psycho murderbots. Which, admittedly, sounds anything but dull. And you’ll have to run and rifle your way through vintage Swedish architecture and horticulture, uncovering the mysteries of its abandonment, while blazing off auto rifle rounds in the steely savages and securing safe houses. But within minutes it begins to feel a bit bland and toothless. Without trying to look for it, I instinctively become aware there’s an obvious, rather simplistic pattern emerging with the mission structure and progression system. And while It’s a pattern most modern, open-world games tend to follow, some games are able to add or distract from it better than others, whether it’s with more detailed story or innovative mechanics. For example, Borderlands has its zany humour and quirky characters, Fallout has its VATS system and survival traits. Others let it define and drive their entire game and that’s essentially what Avalanche Studios have allowed to happen here. I got caught up in the monotony of run/gun/loot far too quickly and no matter how long I stuck with Generation Zero or how many people I teamed with, I kept thinking I’d rather be playing something else that does this a lot better. It’s full of big explosions and mammoth enemies, often pitting you against overwhelming odds that end up in tense struggles. It’s clear to see the Just Cause influence crossing over into a looty shooter as you can use powerful grenades and devastating shotguns to satisfying effect. And within minutes you’ll have filled up your inventory slots with all sorts of random crap you’ve picked up from night stands and dead bodies, meaning you’ll soon need to do a bit of admin in order to get everything under control. Generation Zero checks all the boxes you’d expect it to check, and truly does boast a seamless, simplistic multiplayer experience which, admittedly, I sort of preferred to The Division 2’s matchmaking system because it gets drop in and out co-op – even if I begrudge the lack of splitscreen. The problem is the content. At least in The Division 2 I always feel like I’m contributing to something, whether it’s assisting the war effort with donations, or claiming some sort of territory or dominion over an area. Here the world isn’t full of such activites or events. You just scour a beautifully designed, well-preserved landscape, pick up on environmental clues and acquire loot. Problem is, the environmental clues are quite limited, reduced to mere newspaper scraps, whiteboard scribblings, and audio tapes. We don’t get the chance to hear the main character interact with the world, see anything distinct to differentiate certain houses from others, or pick up any major world clues that lead to new and unique events. 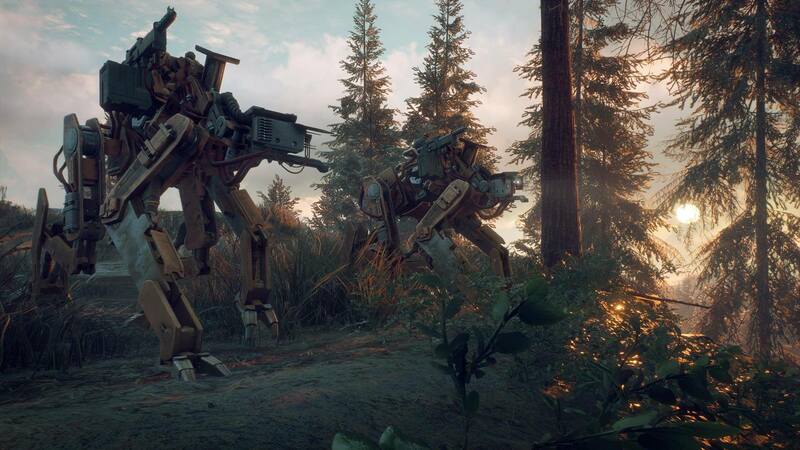 Generation Zero is a decent video game, but unfortunately for THQ Nordic and Avalanche it’s launched in a competitive window against more refined experiences, making it a difficult recommendation. That said, if you’re looking for something mindless and simple you can play online with a buddy this has all the tools needed for a few hours of entertainment.